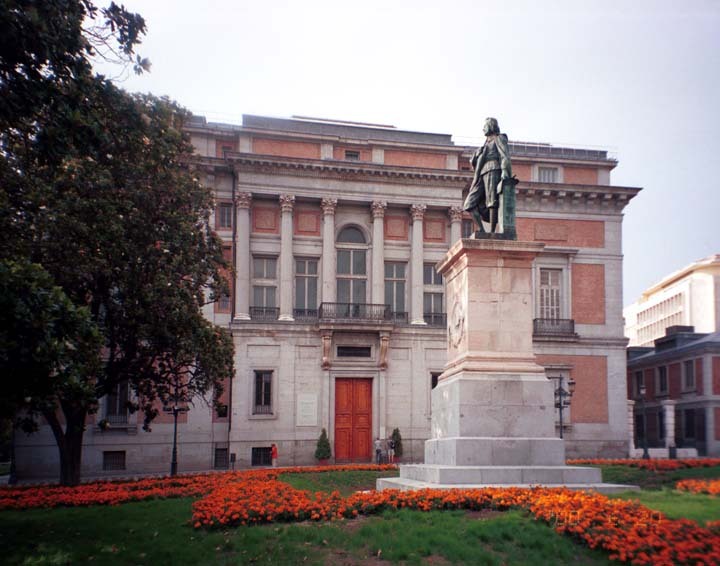 We visited a different museum each full day in Madrid - Monday, the National Museum Reina Sofía, Tuesday, the Prado, and Wednesday, the Museum Thyssen-Bornemisza. We enjoyed each with its own personality. We found that museums were open even in the afternoon, when some other businesses were closed. On Monday, we saw Guernica at the Reina Sofía as well as many more pieces in its mostly 19th & 20th century collection. We met a star of the British soap opera Brookside in the museum cafe. On Tuesday we saw many masterpieces at the Prado, works by Goya, Velázquez, and El Greco, and Bosch's Garden Of Delights - a favorite since college days. As we left the Prado we spent a delightful time visiting the Royal Botanical Garden. On Wednesday we saw many interesting works at the Thyssen. Their contemporary works were our favorites; especially Hopper's Hotel Room . The museum building is contemporary as well. Be sure to check out the virtual tour. The photos here are impressions from the museums rather than straight shots. 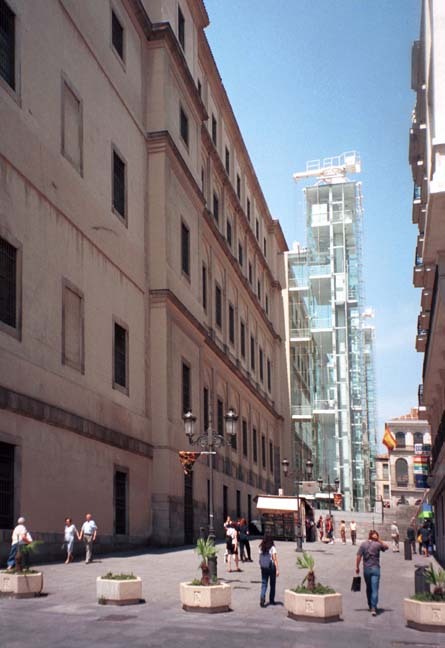 The Reina Sofía is entered from a courtyard at the back of the museum; access from the street is through this passage, then up the exterior elevator encased in glass. 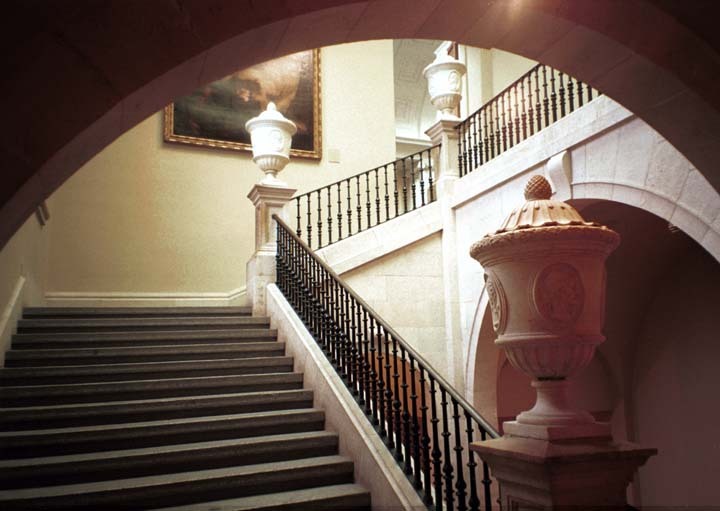 This is one of the many stairways in the Prado. 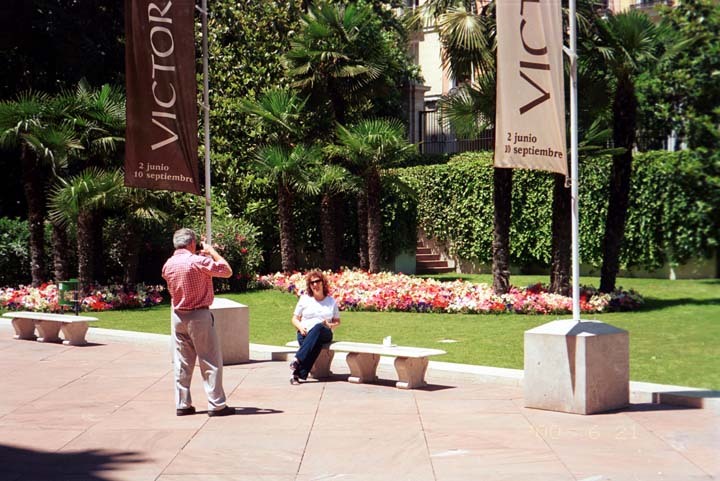 This courtyard stands between the Prado, visible here, and the Royal Botanical Garden.